Your regular host Thom ‘Third Rail Design Lab’ Chiaramonte is joined by guest host Blake ‘Begin Again’ Simmons to review and discuss Annihilation, as well as current entertainment news of the day. 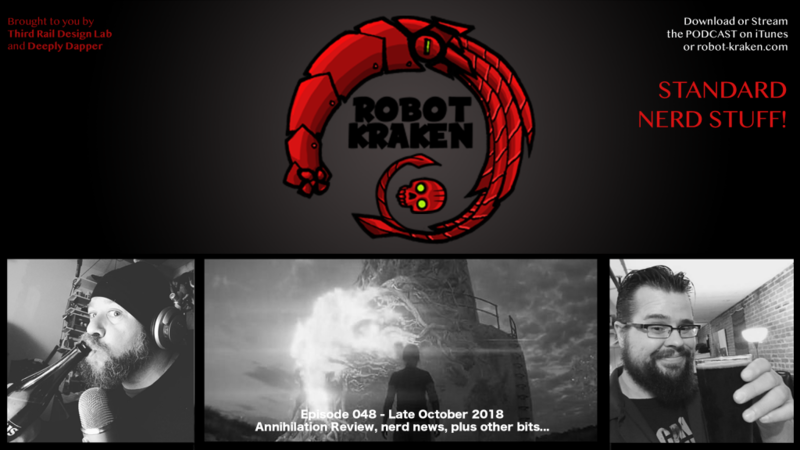 Red Sky Roundup: News of the moment – for more detail, see Robot’s Root on robot-kraken.com! And yes, the score was Ben Salisbury and Geoff Barrow, not Johann Johansson. But still, I was close. Also, you may imagine to yourself that we are applying ‘Born Again’ to Blake… you may even hallucinate and think he did it to himself. I promise you… it’s you, not us. It never happened. 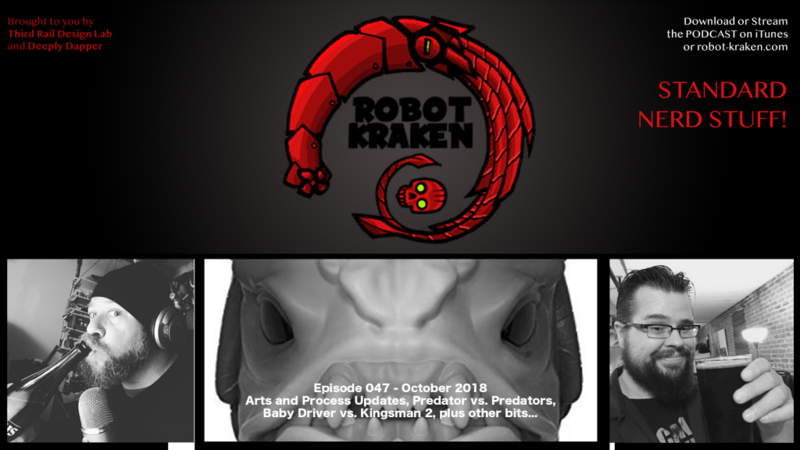 Your regular hosts Thom ‘Third Rail Design Lab’ Chiaramonte and Kris ‘Deeply Dapper’ McClanahan are joined by guest host Blake ‘Begin Again’ Simmons to review and discuss Predator, Predators, Baby Driver, Kingsman 2, plus we talk art and process as we head into fall. Part 01 – Your Art and Convention Roundup, waxed poetic by Thom and Kris! Part 02 – A Predogs Lunch: Discussing Predator (and Predators), Baby Driver and Kingsman 2, for science! Thom, Kris, and Blake! Please subscribe on iTunes, rate us 5 or more stars out of a possible 5, and review us! It’s the RK thing to do!